engagement. However, that has not been the case. This mission work has been going and growing for seven years. In 2015, Pastor David Nuottila felt called by God to go to the DRC with Pastor Kalonji for the annual three-week trip. 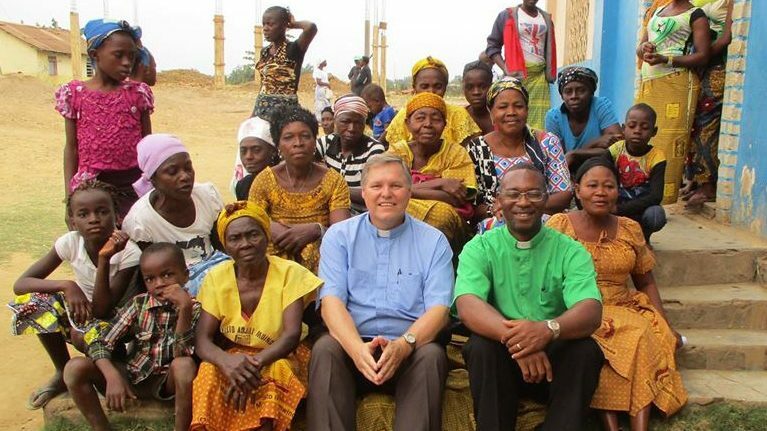 Both pastors now lead Congo Mission International, in addition to serving congregations in the United States — Pastor Kalonji at St. Paul Lutheran Church in Rosenberg, Texas, and Pastor Nuottila at St. Jacob’s Lutheran Church in Chapin, S.C. The Carolinas Mission District of the NALC, churches of the NALC and LCMC, as well as many individuals across the country, have made the annual mission trip and ongoing work between mission trips possible. Leadership Training: Pastor Kalonji and Pastor Nuottila travel to Congo once a year and conduct workshops for pastors, seminarians, lay leaders, women’s groups, and youth groups. They have covered topics such as Church Planting, The Church in Mission, The Gospels, Forgiveness and Reconciliation, and Law and Gospel. Meals for Orphaned Children: While hunger is a widespread issue in the Democratic Republic of Congo, children who have lost their parents to the ongoing war in Congo are even more affected than the rest of the population because they truly have no source of support. The pastors work with the Lutheran Church in Congo to provide free, nutritious meals to these children. Bills for Congo Babies: Mothers and their newborn babies are regularly detained in clinics throughout Congo because they lack the funds to pay the hospital bills. They are detained until they pay their bills or offer collateral. Because of the generosity of Christians in North America, Pastor Kalonji and Pastor Nuottila free many babies and mothers every year. In 2017, the oldest baby they freed had been detained for seven months after her birth. Farming Projects: In 2015 a farming project was launched in the town of Boma, province of Bas- Congo, to produce food locally and feed orphaned children, and other children in need. Though this project still needs much funding to produce more and to be secured with a fence, it is going very well. A similar project is also desperately needed and contemplated for the Kasaï Oriental province. Bibles for Pastors and Lay Leaders: Pastor Kalonji and Pastor Nuottila are committed to raising awareness about the need for Bibles in Congo, where many pastors and lay leaders do not have a complete Bible. On their mission trips, they have locally purchased and distributed Bibles in French, Lingala, Tshiluba, Kikongo and Swahili. The average cost of a Bible is $15. Pastor Kalonji and Pastor Nuottila are seeking congregations, organizations and individuals interested in partnering with them in the Great Commission work they do in the Democratic Republic of Congo. Their next trip is scheduled for September. You may learn more about their mission here. You may contact Pastor Stéphane Kalonji at kalonjist@aol.com or 252-876-5192. Pastor David Nuottila may be reached at revdavidwn@gmail.com or 803-604-6227.